Obtaining medical records can be a significant expense in any personal injury, wrongful death or medical malpractice case. 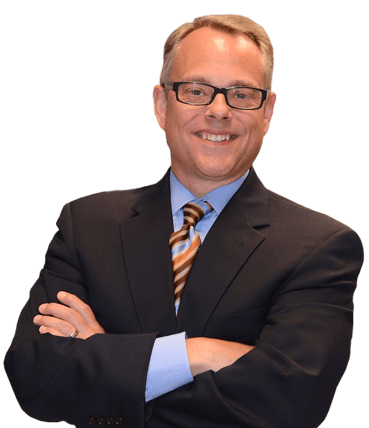 Dixon Law Office founder, G. Grant Dixon III, recently authored an article that teaches clients and lawyers how to get their medical records more cheaply. 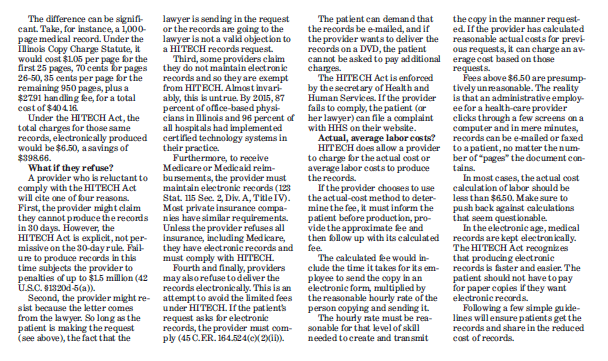 The article was published in the Chicago Daily Law Bulletin and describes how to order medical records using the HITECH Act. 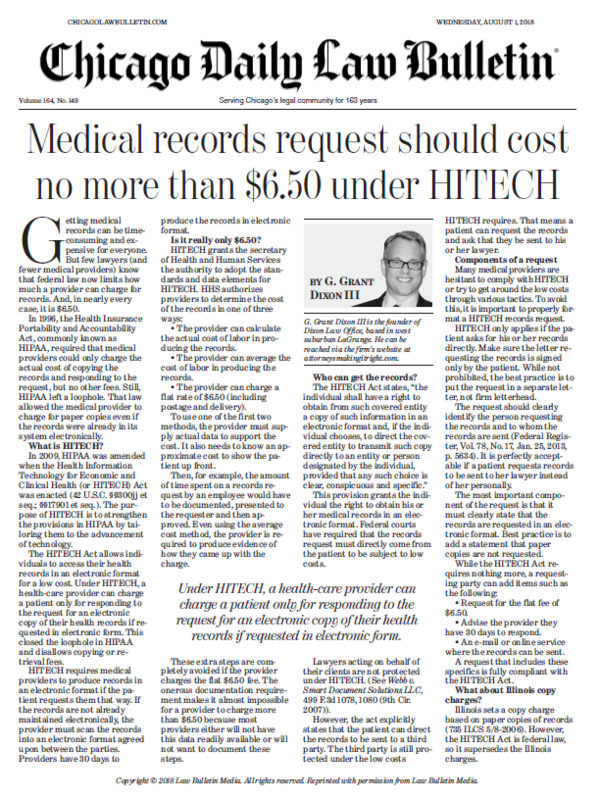 If records are requested properly, the Act requires medical providers to turn over electronic copies of medical records for a total cost of $6.50. Using the HITECH Act, Grant has been able to save his clients thousands of dollars. You can read the Chicago Daily Law Bulletin here. Special forms are used to get medical records at the HITECH Act rate. You can access sample forms here. If you or a loved one has been seriously injured, you need a lawyer who is the best. At Dixon Law Office, our team is constantly fighting for our clients and using the latest techniques to get our clients the compensation they deserve. Call us today at (708) 354-9880. When everything goes wrong, we make it right. As seen in the Chicago Daily Law Bulletin! Please click HERE to view / print the PDF.